Got Fibromyalgia? Insomnia? Arthritis? Phantom Pain? Dr. Bird is a specially Certified Doctor to help patients with these types of chronic Illnesses. The NRCTechnique is helping patients everyday! Don't Hesitate! Learn More Now! Call and schedule a Cardiovascular Screening to see where your heart's health is and what phramaceutical-grade products can be right for you! 6 Weeks to a New You! Weight Loss! Choose one of our many Weight Loss Solutions to help you achieve your Weight Loss Goals! Lose up to 20-35 lbs in as little as 6 weeks! Do you have Pain? Fibromyalgia? Arthritis? Migraines? Insomnia? The NRCTechnique helps patients symptoms of chronic illnesses. Click here as well for more information. Synergy is one of our partners that provides pharmaceutical-grade nutritional products. The core focus is helping greatly reduce Cardiovascular Disease! Click here for more info! 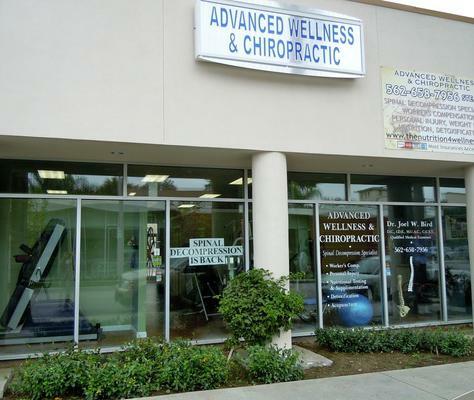 Thank you for visiting the website of 5 STAR Downey Chiropractor Dr. Joel Bird and Downey Integrative Wellness Center - a professional Downey Chiropractic, Acupuncture, Massage Therapy, Nutritional and Weight Loss clinic. In practice as well as online, Downey California 90241 chiropractor Dr. Bird strives for excellence through superior patient treatment, education and satisfaction. Within our website, Downey and surrounding areas will find all types of health and wellness related information about our Chiropractic and Acupuncture processes and services, along with Cardiovascular screenings and treatment plans. We hope you enjoy the information within and share it with others. Again, thank you for visiting www.downeyintegrativewellness.com and remember to come back often.